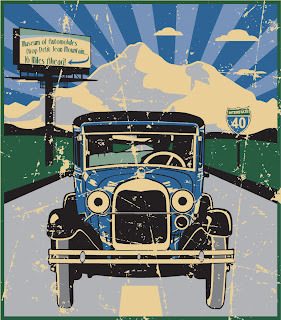 On The Road With Schelley Brown Francis: Get Geared Up For Car Show Season! 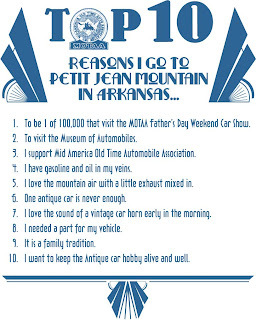 These are all reasons that I love Petit Jean Mountain in Morrilton, Arkansas plus I have many more. One of my recent articles about car clubs needing a shot in the arm really got a lot of folks geared up including myself. I made it to a meeting and I am proud to announce that my local club the Ark-La-Tex Antique and Classic Car Association is alive and well! Some positive feedback was voiced to a well attended meeting that made some crucial decisions. I got several calls from other clubs and they all agreed with what I had written about. I hope that all the clubs will sit back and reflect on how important it is to continue our hobby of preserving automotive history. My real job is doing this on a parish level. 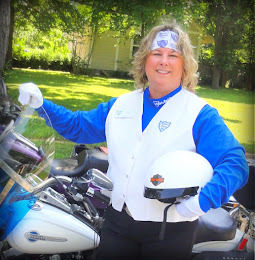 I am the director of the Dorcheat Historical Association Museum, Inc. in Minden, Louisiana. This is a parish museum that opened in June of 2008. It seems like I am always trying to keep history alive in some form or another. I also am involved in my historic residential district area and our local historic cemetery. In fact I put on an annual cemetery tour to teach about the citizens of the past with actors and actresses. All of these always include an antique car or two in the background. It has been said about me that if it is old, rusty, paint peeling off, buried or will not crank that I have something to do with it. I guess that is true but I am glad to be known for that. I wish more people would care about preservation in all aspects as much as I do. Cars to me are the ultimate antique and the ultimate way to express your self. My car changed my life on April 9th, 2002 and I am forever grateful to her! I would never have known any of the 100’s of wonderful people and lifelong friends that I have meet in the last 7 years. Had I not made that decision to drive to Eunice, Lou isiana not once but 3 times in 3 days to look at “Olivia” (she is named after the mother on the Waltons), my life would be pretty uneventful. I’d just be plain old Schelley Brown. 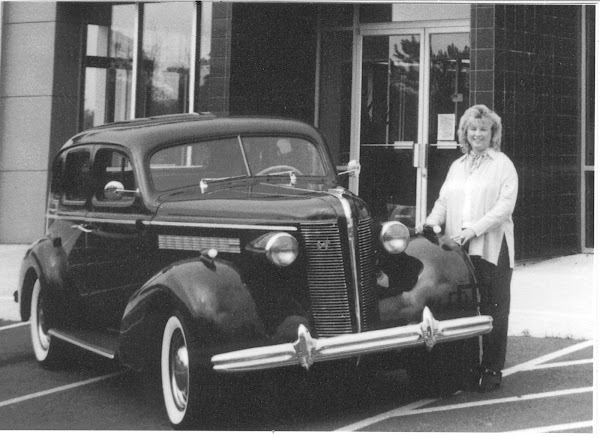 Who could have known that one 1937 Buick Special could change my life and make an impact on so many other lives and events in and around me. 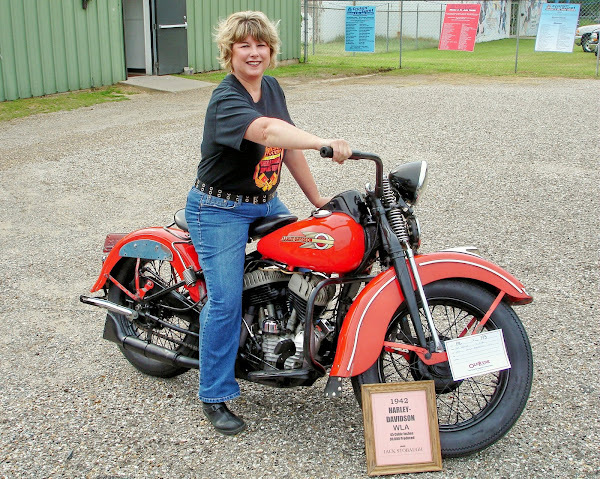 It is because of her that I am involved with Mid America Old Time Automobile Association and Ark-La-Tex Antique & Classic Car Association. It is because of her that I am writing stories for three magazines. So every time I get behind her wheel a tear or two might roll down my cheek because she changed my world. I believe in Devine intervention. I believe that God surely had a hand in me and this car getting together. It is because of her that I started the “Cruisin’ for a Cure Wheels through Time Car Show” http://www.mindencruisinforacure.com/ and http://www.mindencruisinforacure.blogspot.com/ . This show has raised over $70,000 in six years for St. Jude Research Hospital! Who would have believed one car could do so much for so many people. She spurred on a lifelong love of all things antique. An older gentleman once called me and said, “I hear you like old cars and old men!” (I think he was preparing to ask me out) I quickly said, “I like old cars!” That was the end of that conversation! 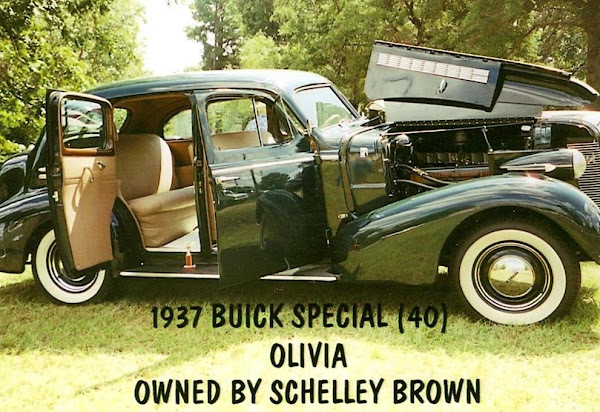 I learned then that a 1937 Buick was like a magnet for a certain age group of men. My friends said you need to sell that c ar and get a 63 Corvette! I don’t care I love my Buick. I would love to have many types of cars and in fact I have a 28 Model A Roadster that needs to be put back together and also a 58 Cadillac in the same shape. 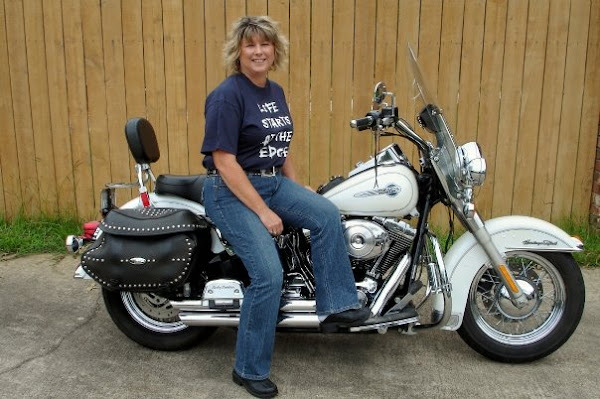 I also like vintage Harley’s and Indians. I just like vintage except for the man and mechanic in my life which is 4 years younger! 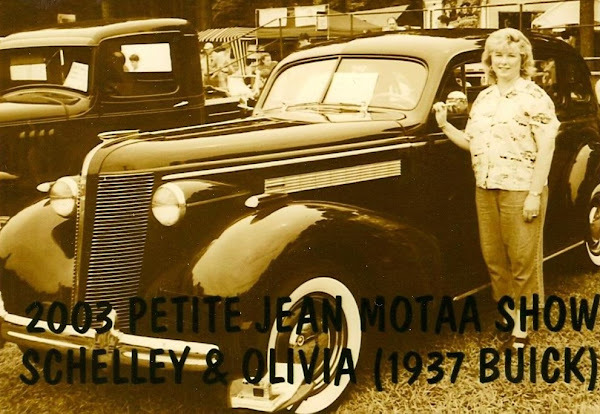 So when you are wondering why you need to get out and go to a car show or come to Petit Jean Mountain this year remember it is because the cars you own have changed your life and you saved them from becoming an abandoned or crushed pile of rusted metal. If that doesn’t make you appreciate what you have then you are not really a car person. You might think you saved an old car from the scrap yard but if truth be known that car may have saved you. You owe it to yourself and you owe it to the car that you love and that loves you back. If you don’t understand those last statements then you are not a real car person, you don’t have it in your blood, and seeing a restored car go through to be judged for its first time out doesn’t move you to tears. 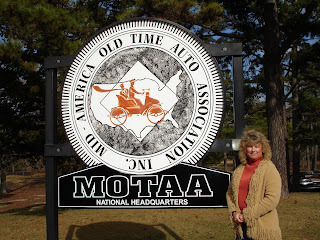 For more information on Mid America Old Time Automobile Association visit the web site at http://www.motaa.com/ join today and make a difference in the preservation of the antique car hobby. For more information on what I am up to with all of my projects and stories you can visit my blog and from there link to all the rest. 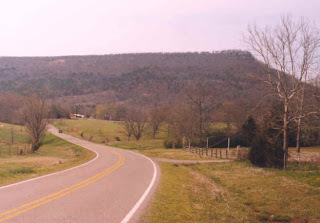 http://www.eventsinminden.blogspot.com/ "On The Road with Schelley Brown" Blog is all about me and my family, friends and the things that make up my life here in Minden, Louisiana and on the road!